The first of these three Kingdoms was the Cap Kingdom – a place quite unlike anything we’ve seen in a Mario game before. Being the home of Cappy – Mario’s new eyeball-containing, multi-ability hat – it is perhaps no surprise that almost everything here is wearing a cap of some description. Even the pigeons have tiny little top-hats in a bid to be the cutest background creatures in a video game, ever. It’s not just this that sets the world apart from previous games, however; it’s everything else. There is a mist in the air, a landmass made up of small hills and elaborate bridges, and a colour scheme consisting of a gorgeous, classy blend of black, white, and gold. It is visually striking – something that remains consistent throughout each of the Kingdoms Odyssey throws at you. Within moments of arriving at this compelling destination it becomes clear that Cappy can interact with more than you might imagine. You’ve likely seen him ‘capturing’ enemies a hundred times over, but he can also interact with objects and even the environment. A couple of wilted flowers were sitting in several spots across the Kingdom and instinct told me to throw Cappy their way – to my surprise they were suddenly in bloom. It didn’t get me anything except perhaps a couple of coins, but it was a sign that the game contains a nice attention to detail. Of course, capturing enemies did feature here too and – after a comical transformation – Mario had his first chance to shine as someone else; a frog. It was thanks to this frog that I immediately learnt something else; this game is meant to be played with a Joy-Con in either hand. The reason for this is because ‘wiggling’ the Joy-Cons can give you extra options – in the case of the frog, shaking a Joy-Con enabled you to jump higher than you could otherwise. You could still perform this action with the Joy-Con controllers in their grip but it doesn’t feel as natural as having them loose in either hand. The overall controls took some getting used to – indeed, even after half an hour I was still making the odd error – but I started to get the feeling that if I can master everything the Joy-Con can do I’ll be invincible. Soon I was whisked off to the next Kingdom and I doubt it could have been much more different. In comparison to the last, The Luncheon Kingdom is almost blinding with its vivid, shockingly bright colours. Off in the distance you can see areas that you currently have no idea how to reach, there are shops to buy clothes and other goodies, and there is an entirely new cast of characters to interact with – again, all sticking to this Kingdom’s theme: food. It was here that the question of “where to begin” really sunk in – the game politely suggests that you could go in the direction of the plot, aiming to collect a Power Moon that will move the story along – but it feels like what it really wants to say is “go anywhere, do anything, enjoy yourself”. I’m not ashamed to admit that I died several times during my time here, mostly trying to pull off fancy tricks or get to hard-to-reach areas. It has that “easy-to-play, hard-to-100%” quality that all the best Mario games have. There are Power Moons to find all over the place and some of them are really well hidden. You’ll need to explore every single nook and cranny of every single Kingdom to find them all. The next Kingdom was a completely different kettle of fish once again. Like the Luncheon Kingdom before it, The Seaside Kingdom has a whole set of new characters who all contain different abilities for Mario and Cappy to utilise. The search for Power Moons was a joy to play through once again too; there are secrets to discover everywhere including clever hints, HD Rumble usage, and interaction with the beach-folk. One such Power Moon comes from playing a game of volleyball for example; you’d never know that there was a Moon there and you only acquire it if you hit a certain high-score. They are so easy to miss if you don’t try absolutely everything. This Kingdom features a boss who, once again, isn’t quite like any I can remember from previous games. Without wanting to spoil too much, this boss wasn’t your usual Mario affair of jumping on it three times with hardly any challenge; instead, you were tasked with chasing it down across the entire Kingdom – suddenly the whole world became an even playing field for the both of you, closer to how a fight in The Legend of Zelda: Breath of the Wild might feel rather than a Mario game. It was wonderful. I could go on for some time here – talking about all the little things like how Mario’s outfit gets dirty if he falls over in dust or sand, making the world feel all that more real; or the newly revealed Snapshot mode where you can take selfies, whack a filter on, and share them online which works an absolute treat. It is the whole package that left me impressed, though; these little things, the bigger things like the scale of things to see and do, and the feeling that there was no restriction put upon the developers’ creativity. 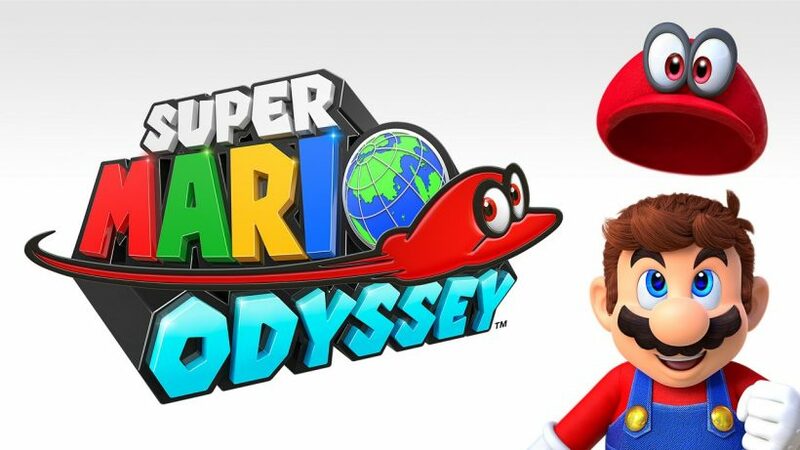 Odyssey has the potential to be pretty ‘Super’ indeed and I for one can’t wait to get my hands on the full game.